An enveloping, well-proportioned shape, a succession of straight and curved lines define the silhouette of the Quinn Armchair. The semicircular back and its unique pitch give it an especially welcoming feel, echoed in the fluffy cushion that makes it an even more comfortable experience. 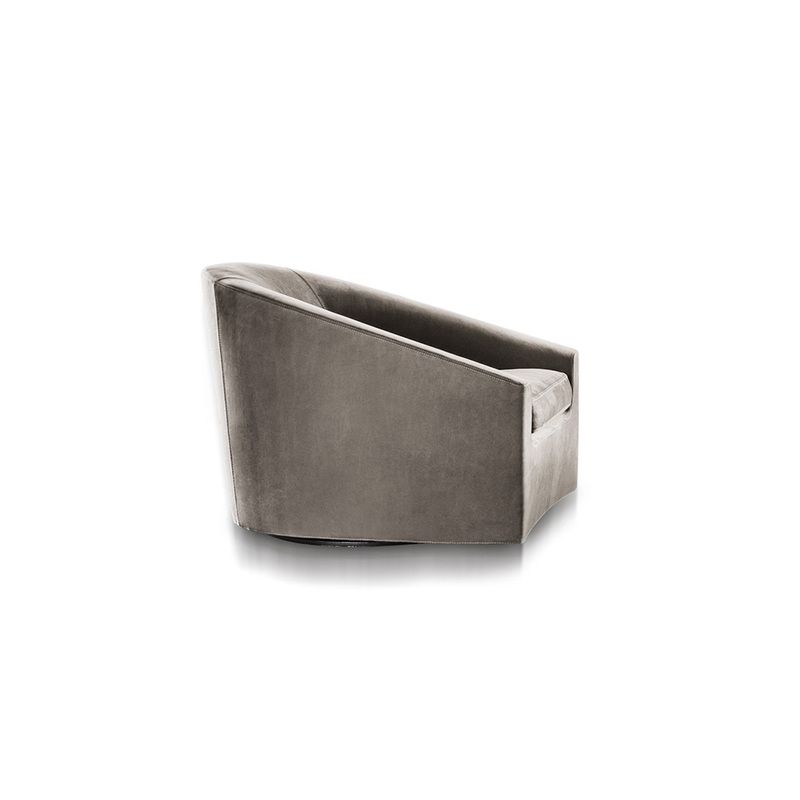 It comes with either a swivel base or with delicate concealed feet. 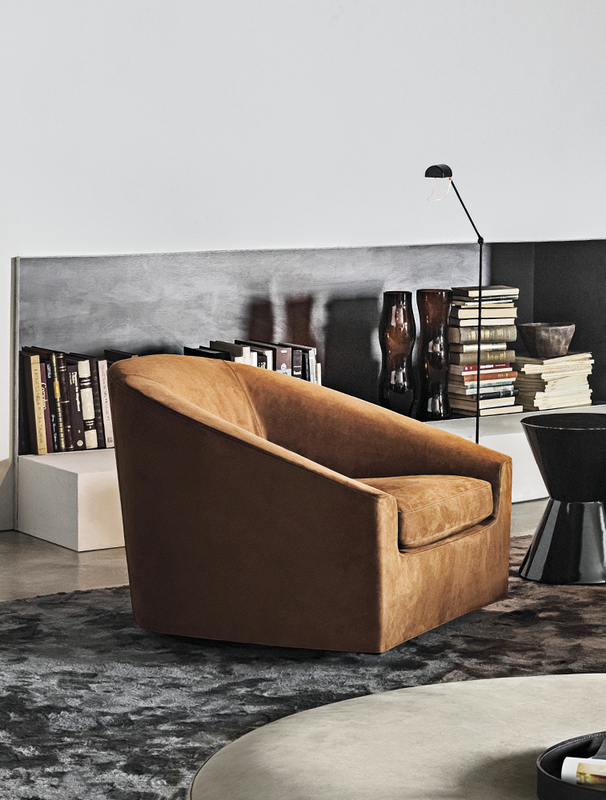 Quinn is an armchair sure to become a new classic within the Minotti Collections and easily fits in many different settings – from the living room to the study, bedroom, and even public spaces like lounges, waiting rooms, and business offices.